The majority of researchers who dedicate their time to the mystery of Atlantis come to conclude that the kings and masters of Atlantis were the later gods of antiquity in Egypt, Greece, America and northern Europe. This conclusion is based on the assertion that the primeval tribes were so filled with amazement at the abilities of the Atlantean refugees that they regarded and accepted them as divinity. In Greek mythology, Zeus was the godfather of the third celestial dynasty and the son of Cronus and Rhea. The Romans referred to him as Jupiter. He was the supreme ruler of Mount Olympus but couldn’t influence fate. Zeus was head of the twelve Olympic gods, dividing the world among himself and his brothers Hades and Poseidon. Zeus ruled over the heavens, Hades was given the underworld and Poseidon gained the sea. 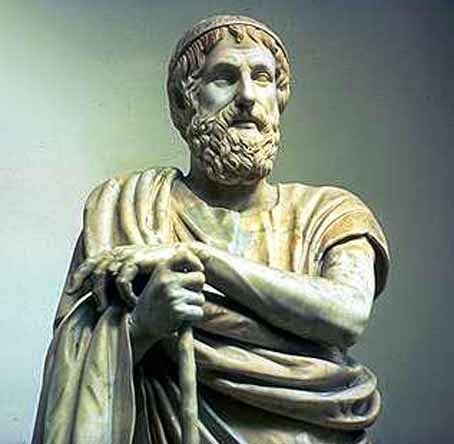 Zeus was married to Hera who was mad at Zeus because of his numerous love-affairs, some of which brought forth children, among them Heracles (Hercules) and Athena. Poseidon, another son of Rhea and Cronus, ruled over the sea and the ocean. 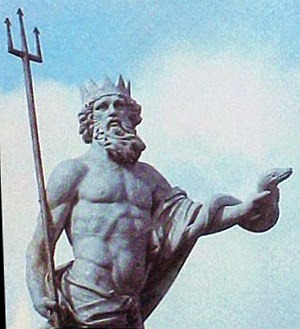 Poseidon was referred to by the Romans as Neptune and maintained his independence from Zeus. Poseidon was married to Amphitrite who was a nereid. When the Athenians made Athena their deity, Poseidon flooded the city and the surrounding land. 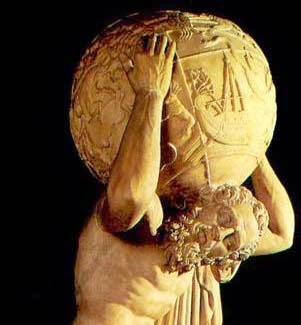 In Greek mythology, Atlas was the son of Iapetus and the nymph Clymene, and was said to carry the world upon his shoulders. When he fought against Zeus with the older divine Titans, he was made to carry the globe as a punishment. Moreover, Atlas kept watch over the divine fruit in the west, at the shores of the Atlantic Ocean. Some Greek sources report that he was a great astronomer and therefore carries the firmament with the twelve (12) signs of the zodiac on his shoulders. Gaia was the earth and great mother that gave birth to the sky god Uranus. Cronus, the youngest son of Gaia, castrated Uranus, and as a result heaven and earth got separated. The story about the separation of heaven and earth can also be found in Asiatic mythology. Moreover, the bible includes an altered version of the creation of the world, as well as its inundation with cataclysms and a massive global flood. The writings of numerous classical philosophers include records of vanished islands and continents. In one of his most famous writings, "Critias", Plato reminds us that our earth has been witness to periodic cyclical cataclysms which often culminate in a total loss of civilization. Isocrates (436-338 BC), a Greek philosopher, held the view that Plato’s writings embody a derivation of the Egyptian state system. Poseidonius (135-51 BC), philosopher and intellectual leader of Cicero, claims that Plato is right. Plutarch (46-120 AD) mentions a continent named Saturnia and an island called Ogygia which are supposed to be situated a five days‘ journey west of Britain. These “Islands of the Blessed“ had mild seasons and were assumed to be the Elysian fields praised by Homer. Homer (8th century BC), prior to Solon and Plato, writes in his “Odyssey“ about the island of Scheria in the western ocean. Scheria was home of the Phaeacians who had temples the walls of which were decorated with pure ore and the mouldings were made of blue steel. The city’s core was surrounded by a circular wall and there were all sorts of fruit. Moreover, the city had two springs – no doubt it was a wealthy land. In this section of the “Odyssey“ it is almost possible to reconcile the descriptions of the island of Scheria with Atlantis. Before Odysseus came to the island of the Phaeacians he was held prisoner on the island of Ogygia which belonged to Calypso, a daughter of Atlas. It took an eighteen days‘ journey from this island to Scheria. Finally, it was Poseidon, assumed founder of Atlantis, who inflicted these exhausting voyages on him. Diodorus Siculus (100 BC) writes about a war between the Amazons and a nation called “Atlantioi“ that was located a several days‘ journey from Libya. This mighty empire was divided among the sons of Uranus, the most famous among them being Cronus. Furthermore, Siculus reports that this empire was very wealthy and also had mild climatic conditions. 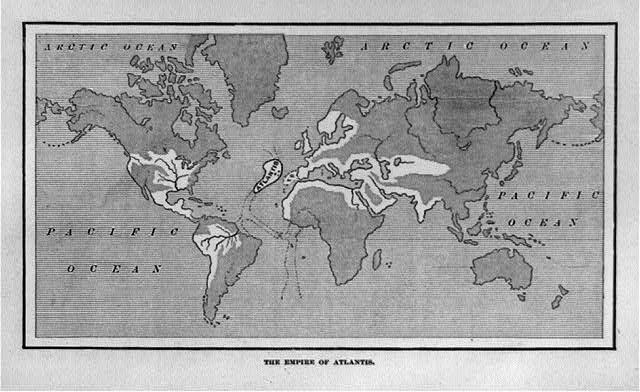 The empire was named after Atlas, the island’s highest mountain. 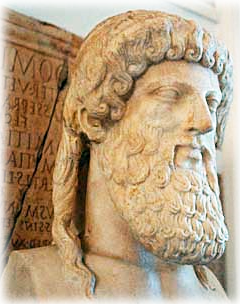 Crantor (330-275 BC) states that he saw the scrolls with the story of Atlantis. In addition, he says that other ancient witnesses also mention a huge continent situated in the Atlantic Ocean. The capital of the island was named “Poseidonis“ after Poseidon, the god of the sea and patron of the Atlantic Ocean. These various comments seem to resemble each other in many respects although they have different origins. In the Mediterranean area, in ancient Egypt, in Mesoamerica, in Mesopotamia – all over the world myths and legends of a sunken continent in the Atlantic Ocean are wide spread and plausable – just as the legend of Troy, as described by Homer in his “Odyssey“, became archeological reality. The very proof that Troy had been found and excavated by the pioneering German archaeologist Schliemann shows that there is substantial truth behind the ancient legends. We should not allow political correctness to continue to replace scientific correctness, as seems to be the case in the post WW2 era, where Marxist ideology has replaced academic integrity in academia. Great article thank you. All of your blogs are very interesting.